In a recent, very short post, Seth Godin observesÂ that it’s very easy to collect dots but not so easy to make some meaning from them. 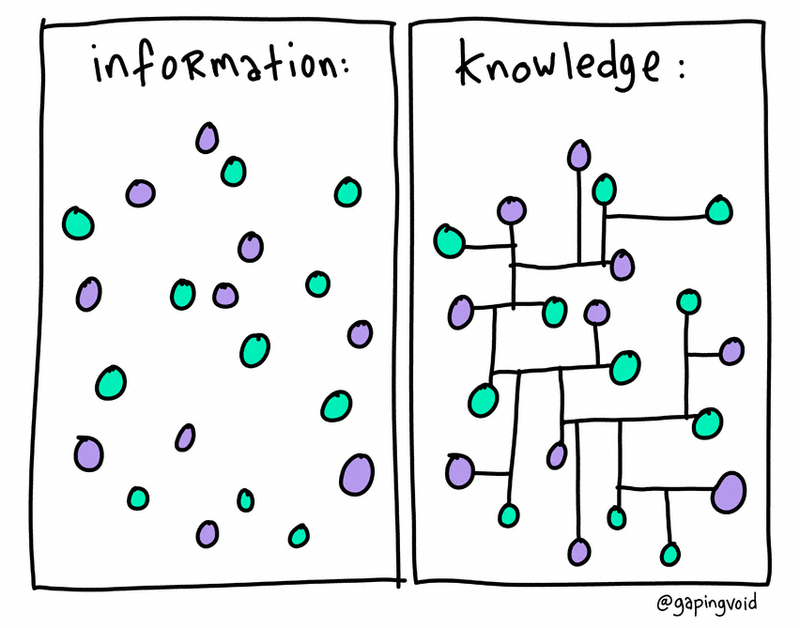 Â Of course, in his analogy dots are data, and learning to connect them in meaningful ways takes a lot of work. Here in our overly-large school district (and elsewhere I’m sure), teachers are spending an increasing amount of class time collecting dots, but what happens after that? Why then, do we spend so much time collecting dots instead? More facts, more tests, more need for data, even when we have no clue (and no practice) in doing anything with it. And there’s one of the big problems with obsessing over data. It’s useless, and potentially harmful, unless someone has the ability to make meaning from it, skills that Godin says are “rare, prized and valuable”. However, as with so many other parts of the American education system, we expect every teacher to either come to the table understanding how to connect dots, or learn it in their spare time. Dots that represent some very complex and highly variable data, kids and their learning. Slightly off topic: a good way to look at dots/data by the wonderful cartoonist (and visual philosopher)Â Hugh MacLeod.